Want more poop like this? Sign up for our BarkPost newsletter! 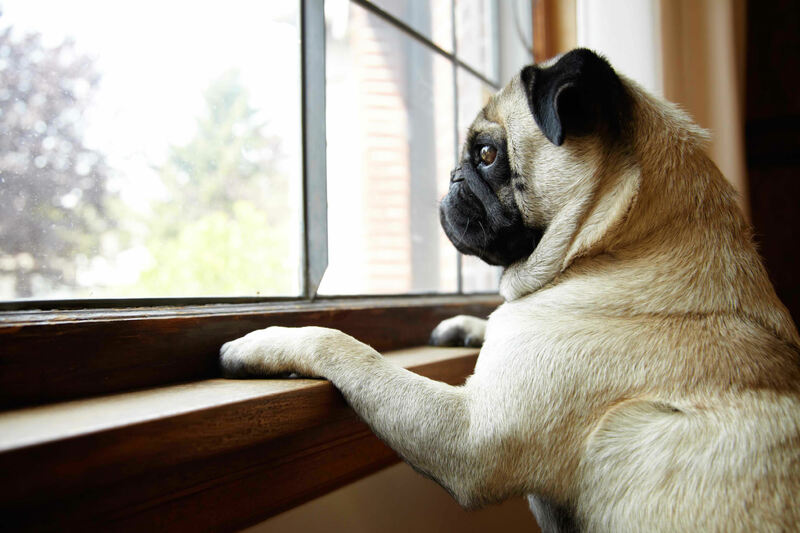 Ever wonder why dogs just stare out the window sometimes? Even when there's nothing going on outside? It's like they're watching you. Or plotting something. No wait, cats plot. Dogs just silently ponder. And possibly judge. Here are 13 dogs who have a front row seat to everything that goes on in your neighborhood. 1. ""I'll be damned... Steve bought the Porsche."" 2. ""Oh look, Maude's deadbeat son finally came over to mow her lawn."" 3. ""Storm's rolling in. Best finish mending this fence."" 4. ""If those kids don't get out of my planter in 30 seconds, so help me God I will just bark."" 5. ""The sun made it out after all. Perhaps he will call today."" 6. ""There's that man and his Buick again. Well heck, I think Tim's wife is cheating on him."" 7. "Mmmmm... the new neighbors look.... noisy." 8. "Something's disturbed the wrens. Look at them take wing. I think I'll start work again on my novel." 9. "Oh pebbles, I forgot to turn off the sprinklers. That's going to be a fine." 10. "Misty's home from work. Uh-oh, she does not like the way I trimmed the shrubs." 11. "The leaves are changing. Sheila loved autumn. Ah, I wish she were here to see it." 12. "Look at us. All of us. Living our sad, parallel lives in our individual little white boxes. Patches of lawn and asphalt. Concrete sidewalks. Speed bumps. The chains are concealed--like the plumbing." 13. "One day, the sun will set on my time here." Sign up & unlock all stories & get the best pup shenanigans each week!